Cargill has announced new and updated policies to achieve deforestation-free supply chains by 2030, including more transparency in supply chains for soy – a crop that is a major cause of large-scale deforestation in Brazil’s Cerrado. The announcement came just days after the Soft Commodities Forum announced a new framework for transparency and traceability in “high-risk” soy supply chains in Brazil, and two years after an investigation shed light on large-scale forest-clearing by Bolivian and Brazilian soy farmers selling to Cargill. A newly released report shows that not a single company will achieve their 2020 deforestation-free pledges, and recent research questions the effectiveness of such commitments. 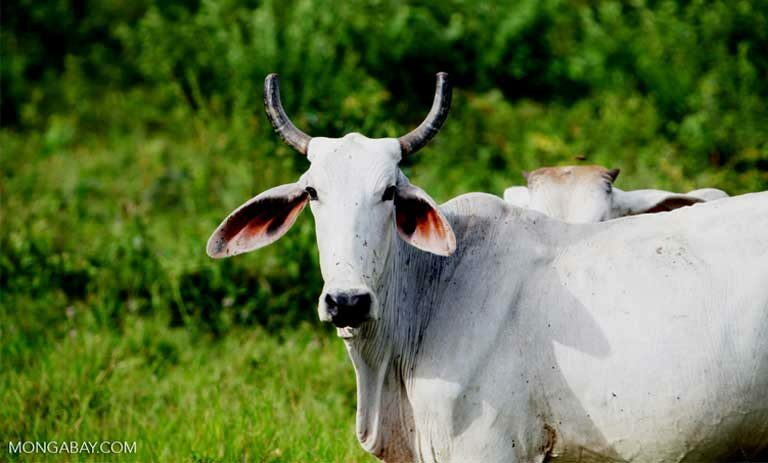 Cargill’s recent announcement of policies to achieve zero-deforestation in its supply chains comes at a crucial moment for the Brazilian Cerrado, which is being destroyed at a breakneck rate, primarily for soy and cattle production. Many NGOs have hailed the announcement from this company, one of the largest agribusinesses in the world, as an important step toward achieving zero-deforestation in supply chains. However, questions remain over whether such declarations are enough, and whether substantial action will follow. In the last decade, just a handful of agricultural commodities – palm oil, soybeans, cattle, pulp and paper – have been responsible for more than 70 percent of all deforestation in tropical forests. This is especially apparent in places like the Cerrado region in Brazil, a global biodiversity hotspot that covers around a quarter of Brazil’s territory and produces much of the country’s soy. The Cerrado has already lost over half of its native vegetation, much of it to the production of agricultural commodities like soy and cattle. Much of the trade and distribution of soft commodities – generally defined as products that are grown as opposed to hard commodities like copper that are mined – are controlled by just a few companies, conveniently known as the ABCD group for their initials: ADM, Bunge, Cargill and (Louis) Dreyfus. Of the four in the ABCD group, Cargill is the only signatory of the 2014 New York Declaration on Forests, which aims to halve the loss of natural forests by 2020, and end it by 2030. On February 21 this year, Cargill, the largest privately held corporation in the United States in terms of revenue, restated their “intent to make the necessary changes to achieve a deforestation-free supply chain.” They posted a South America Sustainable Soy Policy, a Human Rights Commitment and an updated Forest Policy. Cargill’s announcement came just days after the Soft Commodities Forum – a global platform for leading soft commodities companies, including Cargill – announced a new framework for transparency and traceability in “high-risk” soy supply chains in Brazil. Also included in Cargill’s soy policy is protection for native vegetation beyond forests, which aligns with the Soft Commodities Forum’s framework for tracing conversion of native vegetation to soy. This is especially important for the Cerrado, which covers around a quarter of Brazil and is one of the biologically richest tropical savanna regions in the world.It contains a range of different types of forests and grasslands and has vegetation conversion rates that are currently 2.5 times higher than in the Amazon. The company’s announcement on a South America Sustainable Soy Policy comes two years after an investigation by the global campaign organization Mighty Earth showed the large-scale forest-clearing by Bolivian and Brazilian soy farmers selling to Cargill. Among other things, the investigation found that between 2011 and 2015, up to 321,000 acres of deforestation happened in areas where Cargill operates. Cerrado that was cleared some time in early 2018. Analysts worry that without immediate action, the opportunity to save what’s left of this unique biome could be lost. 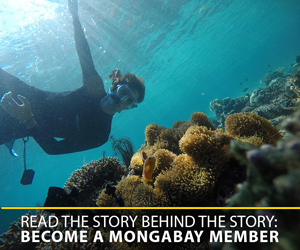 Image by Rhett A. Butler / Mongabay. Cargill has stated it will publish a time-bound action plan by June, in alignment with the first reporting requirement for the Soft Commodities Forum. However, a recent Oxfam report on deforestation-free commodities concluded that despite vast corporate commitments, not enough is being done to translate policies into action. Commitments towards achieving zero-deforestation and deforestation-free supply chains have been on the rise in the last decade. A 2017 report from Forest Trends found that at least 477 companies have taken some form of voluntary zero-deforestation pledge. A lack of common definitions for everything from defining what a forest is and what deforestation is, to the difference between zero-deforestation and deforestation-free, has enabled a slew of vague commitments to be announced without common indicators for holding companies accountable. 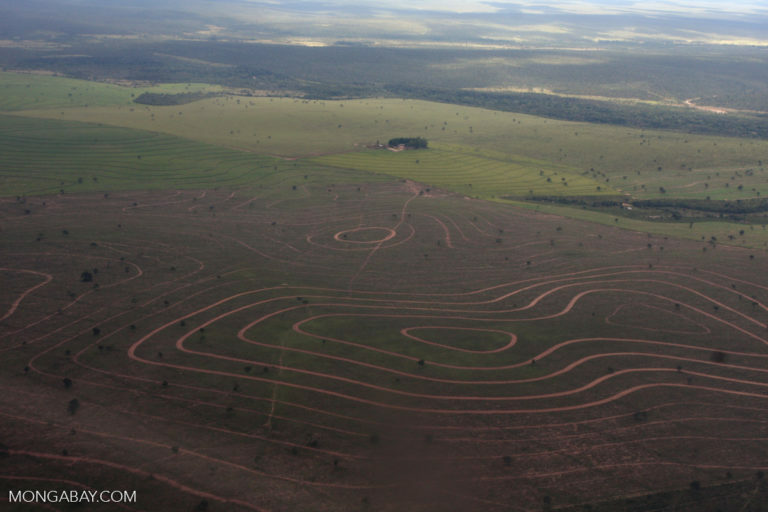 This can be seen with soy, which has expanded by 9.5 million hectares (23.5 million acres) between 2000 and 2017 in the Cerrado region of Brazil. In 2016, over 40 percent – or 28 million tons – of all soy exports from Brazil were covered by zero-deforestation commitments. But this may not have had much – or any – impact on the ground. According to the Transparency for Sustainable Economies (Trase) platform, between 2006-2016 soy traders that had zero-deforestation commitments had similar levels of deforestation risk as non-committed companies. Cargill has their largest investment outside the US in Brazil, where it controls 21 percent of the export market for soy. The company is already a signatory to what is often touted as one the first major voluntary zero-deforestation agreements, the Brazilian Soy Moratorium. Following a Greenpeace report exposing deforestation from soy production in Brazil in 2006 and a massive media campaign, McDonald’s formed a coalition with food retailers such as Cargill and other players in the Brazilian soy market to agree not to buy soy produced on forest land cleared within the Amazon biome. 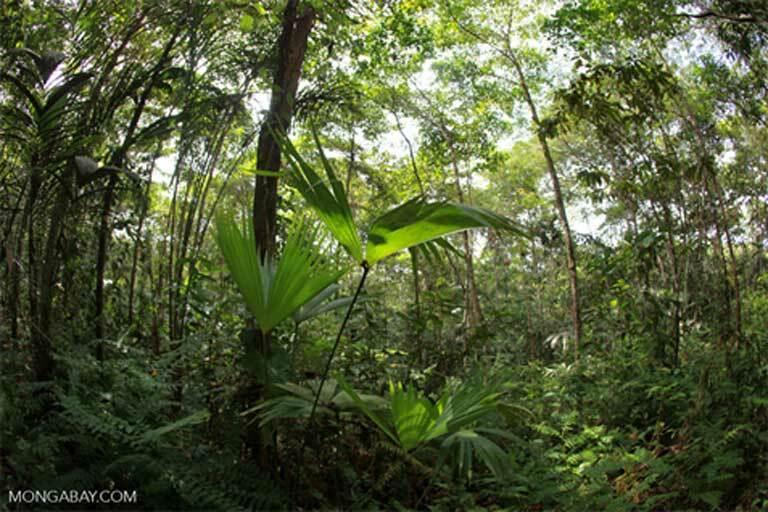 While not without critics, a recent study suggests that the deforestation rate pre-moratorium was more than five times that post-moratorium. Much of the agricultural development that didn’t occur in the Amazon forest, however, may have simply shifted over to the Cerrado. Companies like Cargill might not be as interested in using the model of the soy moratorium for the Cerrado. Large agricultural traders such as Cargill have yet to sign on and have not signaled their intent to. But NGOs working with companies might also be afraid to push too hard. Major Brazilian soy and vegetable oil producer associations, Aprosoja and Abiove, withdrew from and actively campaigned against the Round Table on Responsible Soy (RTRS) over objections to stringency, costs, and limits on land conversion, even though very little of the soy produced was certified under RTRS. According to Global Canopy’s most recent “Forest 500” report, not a single one of the 350 companies and 150 financial institutions assessed in 2018 is on track to eliminate commodity-driven deforestation from their supply chains and portfolios by 2020 . 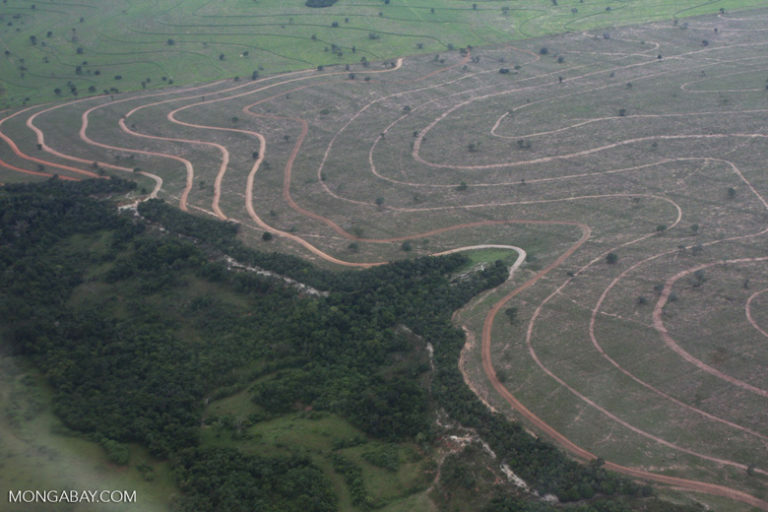 Empirical evidence showing any real impact from zero-deforestation commitments is lacking and recent studies have pointed to the various ways in which such policies fail to achieve their goal. Banner image: The conversion of native vegetation to soy plantations is a leading cause of deforestation in the Amazon and Cerrado. Image by Rhett A. Butler/Mongabay. Sarah Sax is a freelance environmental journalist based in New York City, formerly with Vice News. You can find her on Twitter at @Sarah2theSax.